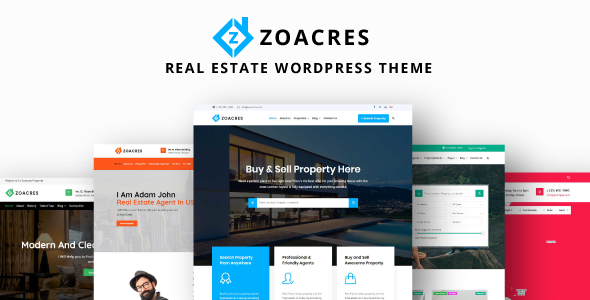 This premium real estate WordPress Theme from zozothemes comes with a clean, modern and highly intuitive design apt for making a sound online presence. It is fully responsive and resizes slickly on any device including tablets and mobiles. ZoAcres has incorporated Google Places in order to provide a user-friendly interface and a streamlined search experience. In addition, Google maps support was included. Site visitors can now benefit from custom pins, detailed maps, and geolocation features. Your page’s search results are filterable by property amenities and features.